Styled with anise pant . 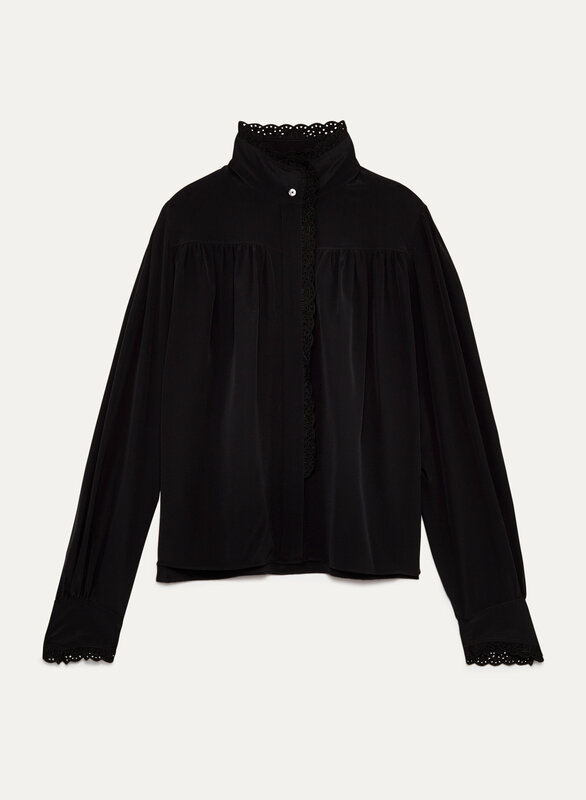 Vintage inspiration shines through in this feminine blouse from Le Fou. It's cut from pure silk that's been specially washed to give it a sueded texture. The Marta is loaded with delicate details, like princess sleeves and gathered detailing at the perfectly tailored yoke. This blouse is perfect. The fit is great and the fabric is nice quality.